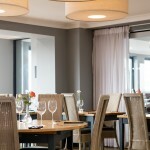 A two rosette restaurant based within a beach fronted boutqiue hotel. Fine dining as well and bar food through out the day. Great food, will visit again. We had an absolutely amazing meal. Waiting staff were very attentive and friendly, we will definitely be back again soon. Had a wonderful stay celebrating my partners birthday. A beautiful room overlooking the sea, fab dining and charming, helpful staff. Will be back! Mothers Day lunch was lovely. The service brilliant and the food, not giant portions, but so tasty. The cod was amazing! The atmosphere friendly and welcoming, which can be not the case on Mothers Day when places are so busy. We had a fab table in window too..bonus. Will be back. Absolutely gorgeous, beautifully presented plates of food and faultless service in a relaxed, tastefully decorated setting. Perfect! We have visited this restaurant on a few occasions as a couple & with family & on each occasion have always loved the food. The service has always been very good, friendly & efficient but never rushed. We look forward to returning. We booked a table because we knew Bridgette from Wood ford Bridge. The food was excellent so we ate in your restaurant twice in 2 weeks. Well done to you & your staff. We were so pleased to have picked this restaurant for a birthday lunch. Excellent service from staff, very attentive, brought kids food out with our starters. Delicious food for adults and kids. Excellent value for money. Flavours of food didn't match on two of the courses - poached salmon starter texture was odd and not pleasant - it was neither cooked or uncooked. The accompanying tastes around the plate weren't strong enough to complement the salmon and the baby pickled onions just didn't go at all. Main - blade of beef. Yet more onions - as the only veg, not nice. Whatever the small green purée circles were, I don't know, as they had no flavour. Yet more (Spring) onions in the mash - could only taste onion afterwards. Also, beef had a nice flavour but was a little dry and overcooked. Perhaps some horseradish purée piped around the plate would have added more flavour? Kitchen had no English mustard for us or the table of steak eaters next to us. I'm only saying all these things because I want the food to be 'excellent', and it so could be with stronger flavour combinations and attention to how long it was cooked/reheated. These comments would have been made in house to the waiting staff who, while attentive, did not ask once how our food was. As always, the lunchtime menu was excellent, capped off with coffee outdoors in the sunshine - perfect! Excellent food especially the carrot cake the best I have ever tasted.The staff were delightful and very helpful.Extremely  good value for money. Perfect stay - thank you. Happy although it was on the company coin so Value for Money was not something we could comment on. 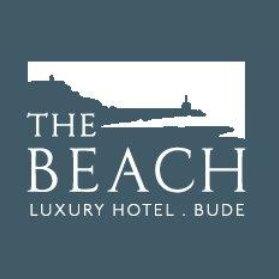 First visit to Bude and trip was enhanced by our stay at The Beach, very friendly welcome and excellent service throughout the weekend. Will definitely be returning in the future. A great first experience of the new chef offer - we have always enjoyed eating at the Beach and good to see we can continue to enjoy great flavour combinations and inventive menus. Our only complaint - the sea bass market fish was a very small single fillet, which jarred with a price point of £20. We would have mentioned this st the time, but no one came over for a 5 min check.